Rather than worry about the differences between AWD and 4x4, the real question is do you want all weather drive or all terrain drive. AWD vs 4×4: What Makes Sense for You? When you think about it, All-Wheel Drive (AWD) and 4×4 transmissions can both provide power to all four wheels so is there a big enough difference between the transmission types to be a serious factor when selecting a new vehicle? The short answer is it depends on what you want out of your vehicle. Rather than worry about the differences between AWD and 4×4, the real question is do you want all weather drive or all terrain drive. As you’ll discover in a minute, both types of transmissions spend most of their lives powering two wheels just like front wheel drive (FWD) or rear wheel drive (RWD). It’s what they do when you encounter less than optimal driving conditions that separate them from their two wheel drive counterparts and that’s really what motivates people to consider AWD or 4×4…kinda. The definition of AWD, according to the Society of Automotive Engineers, is a transmission that can provide on demand split and sharing of power from the primary drive wheels to the secondary wheels when slippage is detected. This is accomplished automatically and usually without the driver’s knowledge. This technology was initially introduced on front wheel drive cars and as a result, most AWD vehicles spend most of the time in FWD mode. AWD crossovers that are built on car frames are also essentially FWD vehicles until conditions require a split of power. It’s those conditions requiring a split of power that make the AWD vehicle more surefooted than the two wheel drive vehicles and gives their drivers the control they love. When the weather decides to dump an inch of snow or buckets of rain creating slippery road surfaces that challenge the tracking ability of a FWD, the AWD will optimize the designation of power to compensate for slippage and loss of torque. In short, the AWD sticks to the road. While the AWD is not an offroad vehicle, it can traverse gravel roads and hard packed dirt trails with relative ease. However, just like a 4×4 the AWD car is challenged by ice and sleet. Tires, not transmissions are the primary contributor to traction in icy conditions. When you have a transmission that can automatically send power to all four wheels then you have a platform that can be manipulated by a computer to do more than just get through the rain without fishtailing. Automatic lane keeping or tracking. Lane keeping is an option offered on many models and typically it is an alarm system. When a video camera sees the car drifting over a lane stripe an alarm alerts the driver. However, in an AWD car the computer can assign both power and torque to the appropriate wheels and nudge the car back into the lane often without the driver even being aware of it. Steering assist. Using the same concept as lane tracking, a computer can manipulate the power distribution to automatically correct over steering and under steering. Probably the most efficient AWD transmission is the AWD system found in the Subaru Forester. The front wheels are driven off a transmission connected directly to the engine while the rear wheels are driven by a transfer case. The design is elegant with all flat transmission components mounted relatively low. In normal operation the power is continuously split at 60/40 for a balanced ride. However, thanks to a series of clutch packages in the rear that split can be changed to 2/98 in an instant if more power is required in the rear wheels. To sum it up, if you are principally looking for a vehicle that will hold the road in inclement weather and stick like glue in good conditions, then a car or crossover equipped with AWD is the vehicle for you. However, it ain’t no mountain goat. 4WD is a much older and simpler transmission made popular by the iconic WW II Willy’s Jeep. Who can resist the “idea” of leaving the pavement behind and scrambling over all kinds of terrain in an almost indestructible vehicle designed to fight a war? 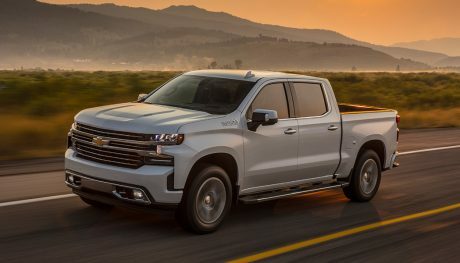 In fact it’s that “idea” combined with the big honking designs of the pickup trucks and SUVs that make up most of the 4×4 inventory that sells 4×4. In fact most 4×4 owners rarely leave the asphalt but they look good on the road. 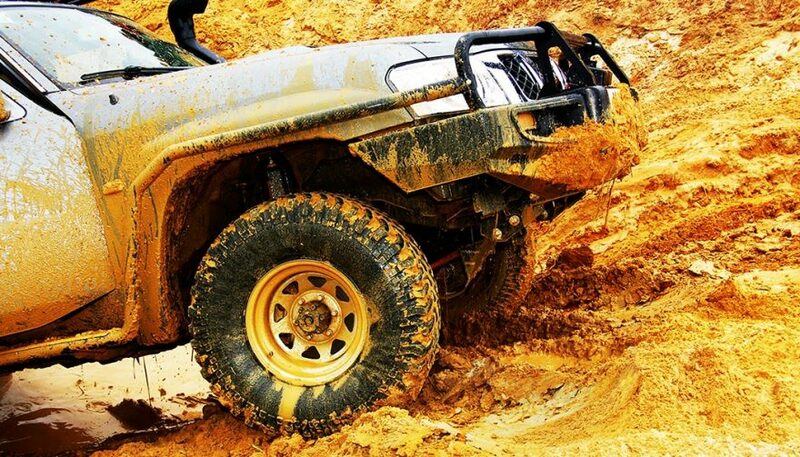 The basic 4WD system involves an output shaft from the transmission going into a transfer case where the engine power is split between the front and rear driveshafts. In the 2WD mode only the rear driveshaft is used to power the vehicle. The big difference between an AWD system and 4×4 is the unique 4Low and 4High gearbox that when engaged, particularly in 4Low, amped up the gear ratio which multiplied the torque delivered to all four wheels. This additional “oomph” at low speed gives the 4×4 the power it needs to crawl up and over a boulder, plow through deep snow, and climb or descend steep grades. Constantly calculate the optimum amount of traction the front and rear wheels need. Take control of the braking and acceleration functions during steep climbs or descents leaving the driver free to focus on avoiding dangerous terrain. The Grand Cherokee and the Land Rover LR4 use cameras and a predictive algorithm to predict what the individual traction requirements will be in the next moment resulting in continuous optimal traction. Of course there is a down side to these vehicles. They are big and they are heavy and that extra weight carries a gas penalty. But if you really enjoy off-roading or you live in an area subject to heavy rains and snow you can’t beat a 4×4. 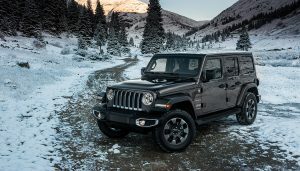 Will the Jeep Wrangler Pickup Ever Happen? 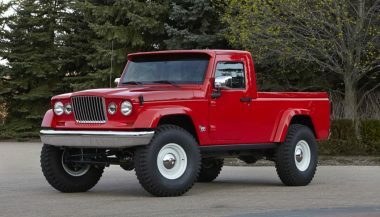 We don't know much about the new Jeep truck. The only thing we do know about the anticipated pickup is that FCA keeps postponing its release. 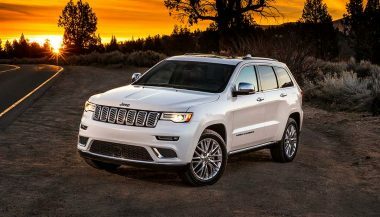 The top-of-the-line Jeep Grand Cherokee Summit is a luxury SUV with serious trail and off road capabilities. Here's what's in store.